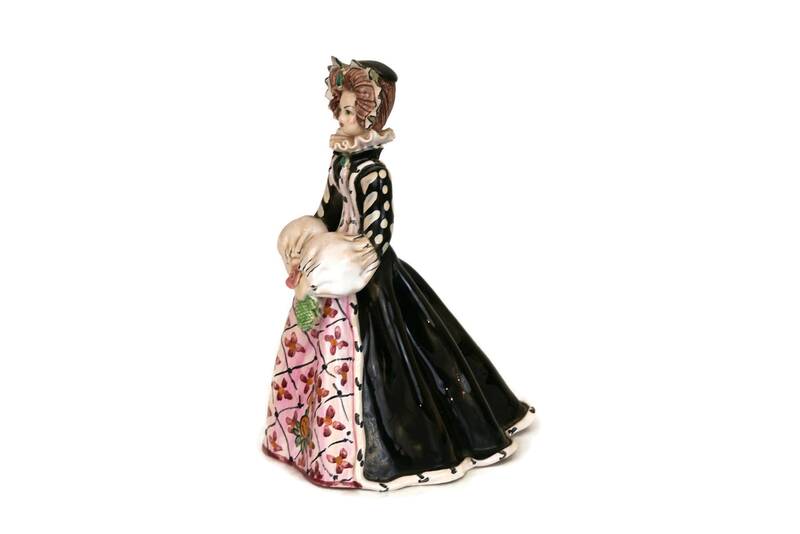 A charming Catherine de Medici ceramic figurine handcrafted in France. 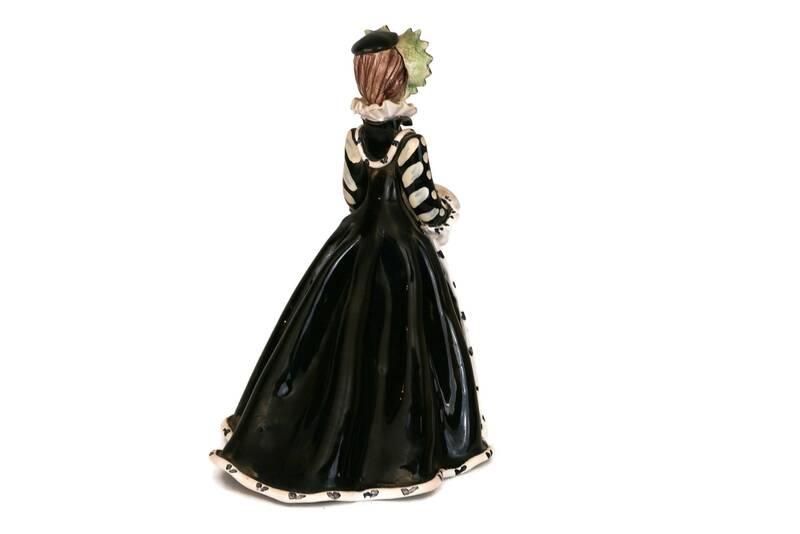 The vintage French historical figure has been made from glazed ceramic and hand painted with lovely details. 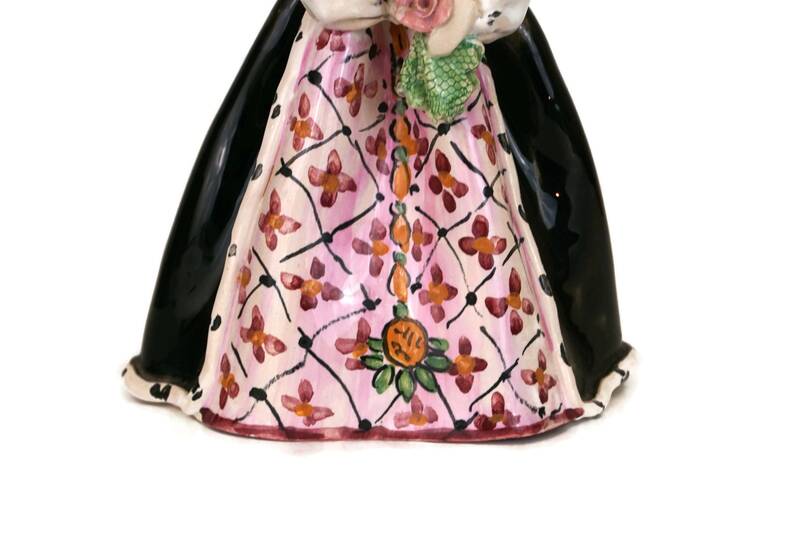 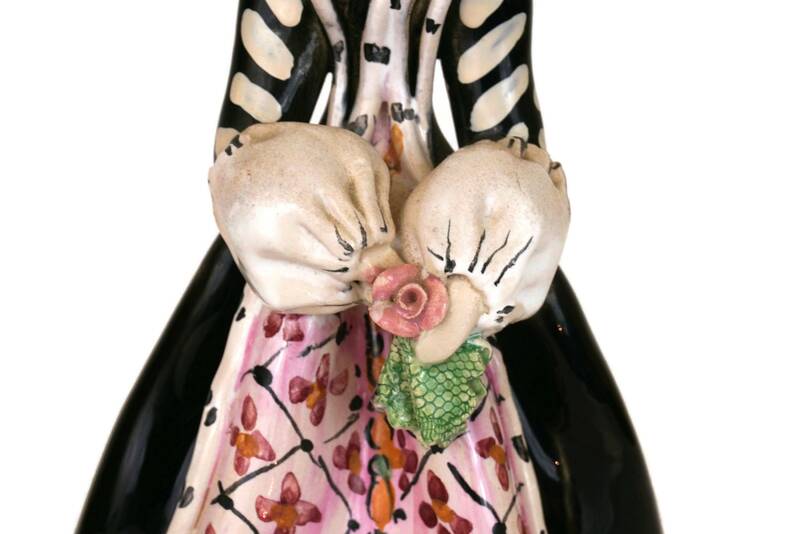 The queen is wearing a black and white dress with puffed sleeves and an underskirt hand painted with red flowers. 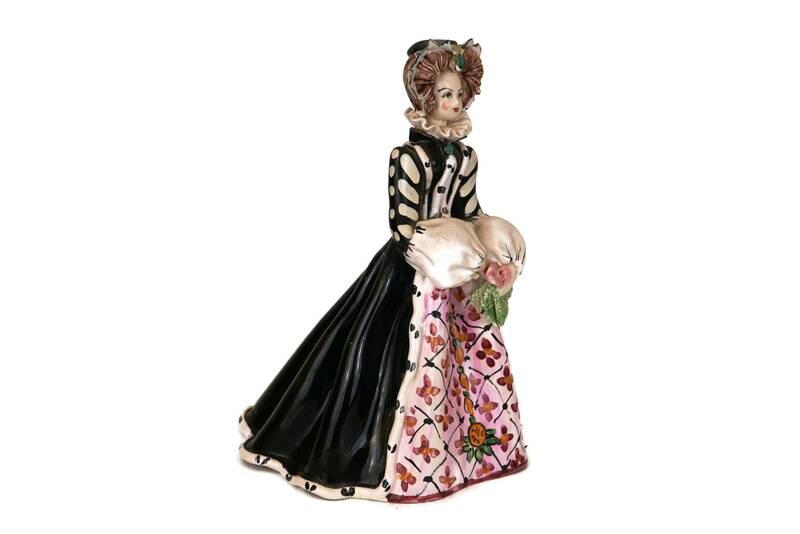 There is a ruff around her neck and an ornate bonnet on her head. 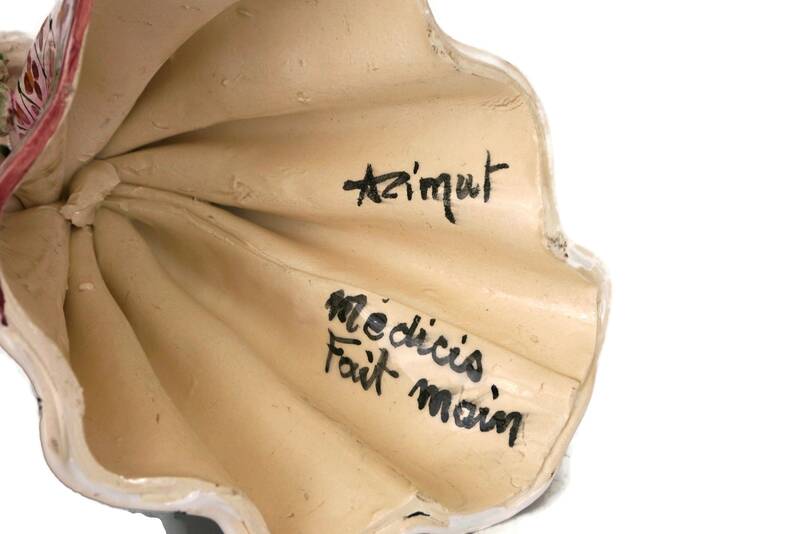 The underside has been signed with the artist and features the French phrase "Medicis - Hand made". 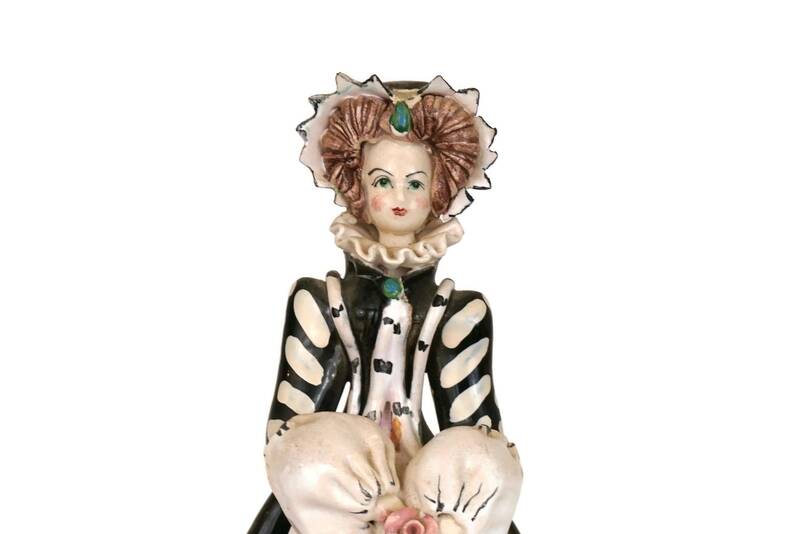 Catherine de' Medici (13 April 1519 – 5 January 1589), daughter of Lorenzo II de' Medici and Madeleine de La Tour d'Auvergne, was an Italian noblewoman who was queen of France from 1547 until 1559, by marriage to King Henry II. 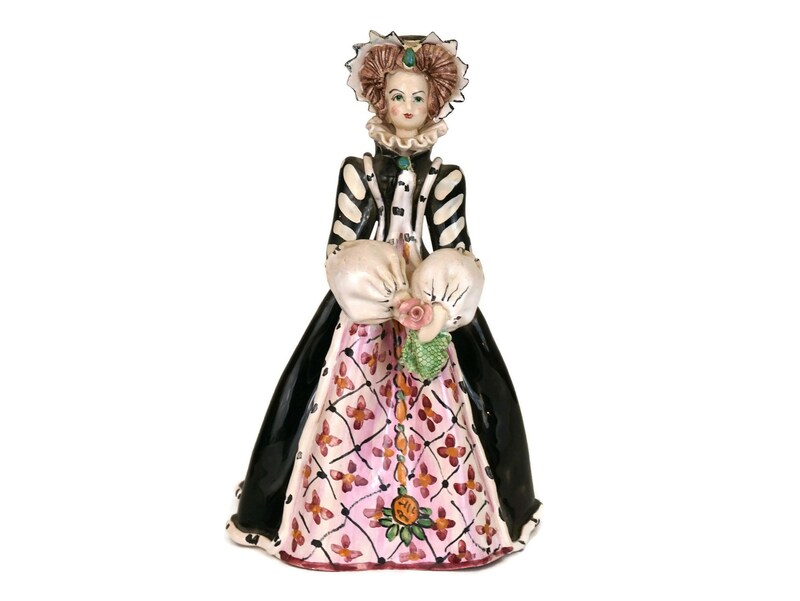 As the mother of kings Francis II, Charles IX and Henry III, she had extensive, if at times varying, influence in the political life of France. 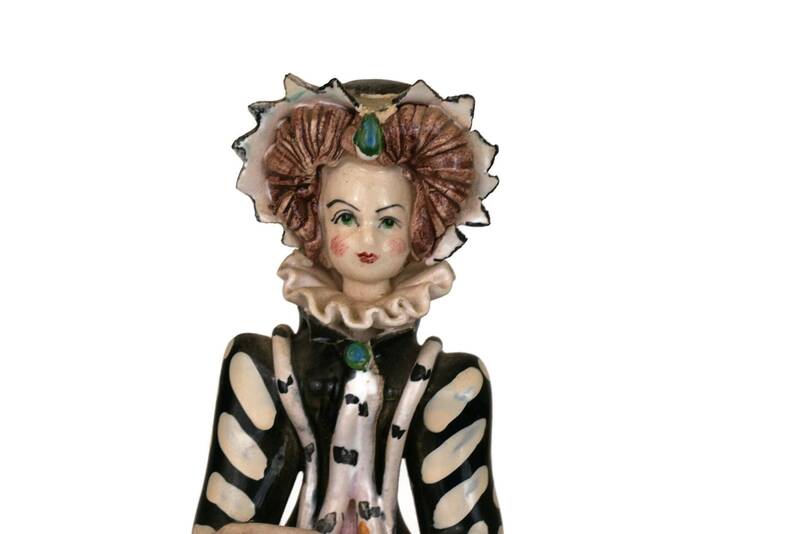 From 1560 to 1563, she ruled France as regent for her son Charles IX, King of France. 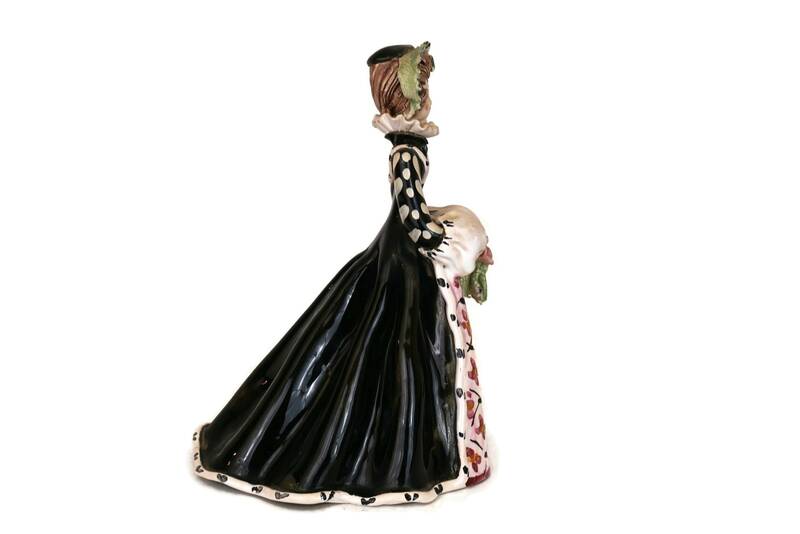 (18 cm x 13 cm x 13 cm).